Kristen Stewart stretches her wings big time as an MP working the Guantanamo Bay prison in Camp X-Ray. The title of the film comes from the nickname that those soldiers who live and work there call it. 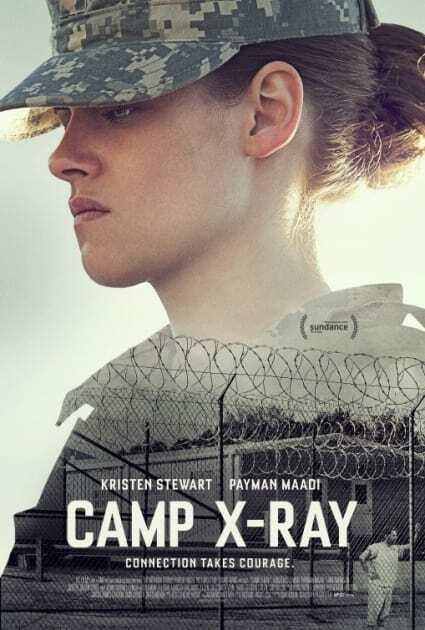 Stewart challenges the system in Camp X-Ray and finds that nothing can change... or can it? 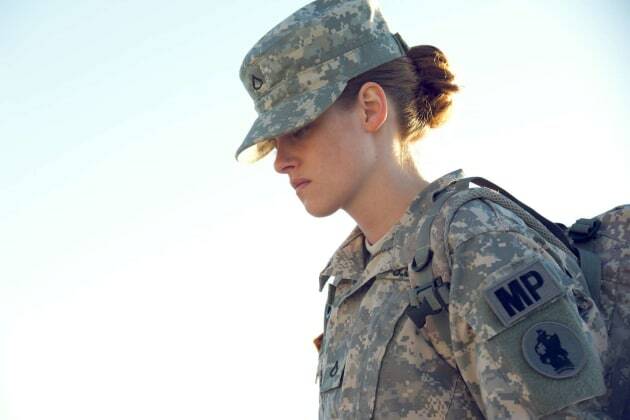 Check out our photos from Camp X-Ray, landing in theaters October 28. The poster for Camp X-Ray is here! Kristen Stewart fights for freedom. Despite the yelling of a prisoner, Kristen Stewart's MP refuses to budge. In a place that has no reason, Kristen Stewart tries to reason with a prisoner in Camp X-Ray. Stewart looks quite the part in a still from Camp X-Ray. 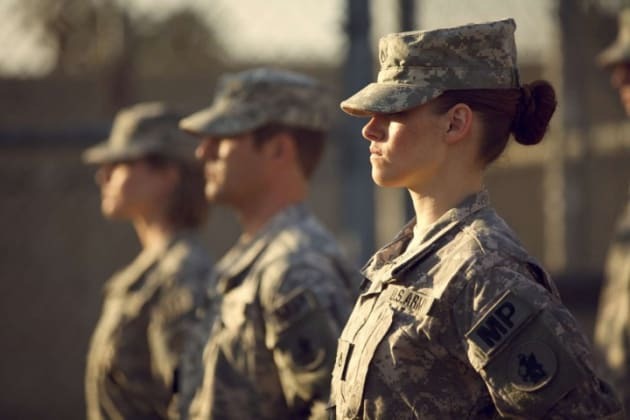 Kristen Stewart stands at attention in a still from Camp X-Ray.